Well done Gregg, nice write up!! Congrats Gregg. 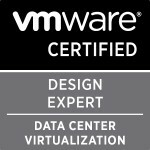 In your opinion, which VCAP exam was the more difficult one? Thanks =0) Ummmm I think the DCD only because I have more experience in administration whereas I’ve only been doing enterprise level designs for the past year and a half. Hey Gregg, I managed to pass my retake yesterday. Your post here helped me a lot. I went back through the design course notes with a fine-toothed comb until I basically had the book memorized. I really think that is what helped the most. Also practicing doing various P2V consolidation equations. Anyway, just wanted to say thanks for your blog postings regarding exam prep/experience. I’m finding them most helpful. Congratulations Gregg. I’m looking to do my DCD exam later this year and I think that your experiences and study information will help with getting through the exam – hopefully with a pass on the first attempt!! Thanks Chris =0) I hope they help and good luck for it! Congratulations just goes to show all the hard work paying off. Hi Gregg, great post, I am prepearing to sit for the exam, too. Do you have any idea if the wrong answerds count as negative points?? With the questions you didn´t know, did you take a chance or just leave it blank?? My Congratulations to you as well, great Job done ! Did you know the current amount of VCAP5-DCD´s in the VMware World ? Hi Gregg, I finally pass my exam on 27/05/13. My ID is 2478. Thanks for the help, I will now prepear the VCAP-CID for this quarter. Thanks for a detailed post Gregg. I wrote DCA exam 2 weeks back and is waiting for the results. Meantime I started the DCD preparation and want to get ready for the exam in next 10 days. Welcome =0) Good luck for the result and for your DCD! Wondered if you can help, sat it today and bombed by 50 point.. must be the 2 diagrams i left.. anyway can you please advise on where to look for study notes / learning on the following areas. Configuration requirements and use for a backup network. i’m assuming this is around the Data protection stuff. Sorry to hear you failed although only by 50 should mean you will clear it next time especially seeing as you left two diagrams! The diagrams are also marked partially so always try at least do some of it to possibly get some marks next time. Backup networks is a difficult one as normally it means it needs a dedicated nic and sometimes even a dedicated vswitch to separate the traffic from the other traffic. Hi Gregg, Please could you help me with the following query in regards to Host Compute Design. Do we need to by default assume a set of things like Memory Sharing benefits percentage, N+1 redundancy for RAM & CPU while calculating the Host specs in the exam..? or should we consider them only if specifically mentioned..? Well knowing about memory sharing etc is mentioned in objective 2.5 so it’s certainly something you must know about and how it impacts. How to achieve N+1 redundancy is almost always a requirement by a customer so something you must know how to achieve, and what methods you can do to achieve this and for each method what are the impacts of choosing them. they won’t catch you out by you not knowing memeory sharing percentages as honestly it’s a sliding scale of what true memory sharing people get due to it being based on your actual machines and if they are alike or not and to what level. Sorry I was not very clear in my query. What I meant was – If there is a design question in which we have to compute Host specs, do we need to by default consider Memory sharing benefit percentage, N+1 redundancy etc. or do we need to consider these only if specifically asked.